When I think back at my time Lakeland days, there are a number of lovely memories. The most memorable would be, when we use to have karaoke and video nights in the pub. 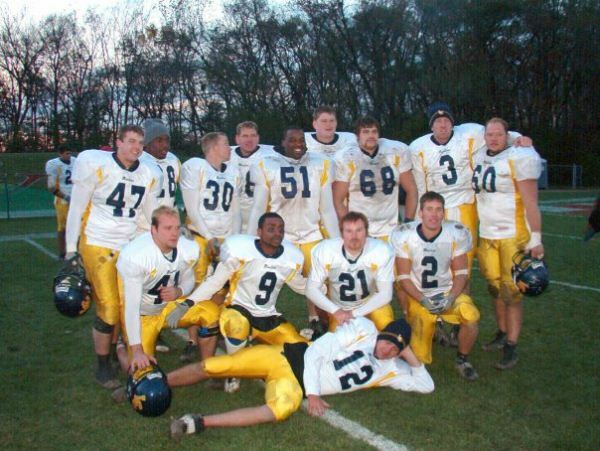 Also, my senior year we went undefeated at home and finished the season 8-2. I played with a bunch of great guys and coaches. I learned many lessons at LC and really became a man there. My professors there were really awesome as well, shouts out to Dr. Elder, Dr. Mock, and Dr. Francis.